Thomson Impressions is a new launch condo development by Nanshan Group Singapore in the very sought after area of Thomson in District 20. Thomson Impressions condo is located mins away from Thomson Plaza, the upcoming Bright Hill MRT and also nearby Lower Pierce Reservoir Park! With estimated completion in 2018, it will comprise of TBA units of various sizes and layouts. Thomson Impressions condo residents will also be able to access within a short drive to Toa Payoh, Bishan Town Centre or even the Singapore Island Country Club which is a short distance away for some family fun and gatherings. A healthy fun-filled lifestyle awaits you at Thomson Impressions. This luxurious new launch condo has full and unique facilities, which includes a guard house, clubhouse, Function Room & Indoor Gym, swimming pool & Sun Deck, BBQ Areas, Outdoor Fitness Station, Children’s Playground. Thomson Impressions facilities provide full family entertainment needs for your family and loved ones. Indulge in a serene and tranquil lifestyle right in the heart of Marine Parade. SMS ‘ThomsonImpressions’ & YOUR NAME TO Alvin Tay (+65)91259978 or simply click the button on the right.. There are many buses are available near Thomson Impressions condo along with shopping centers and restaurants in the vicinity of Thomson and Ang Mo kio. This Thomson condo is also just mins away from popular malls such as Thomson Plaza, Junction 8 and also Ang mo kio hub. Commuting to Orchard as well as the city area is therefore very convenient via arterial roads or the CTE. Entertainment for your loved ones and friends are therefore at your fingertips with the full condo facilities as well as the amenities nearby. With Lower Pierce Reservoir nearby and many shopping/dining amenities, the residents get to enjoy numerous fun-filling nearby recreation activities. This Thomson Impressions new launch is also near elite schools such as Ai Tong Primary (within 1km), CHIJ St Nicholas girls school and Kuo Chuan Presbyterian is also around in the area. For rental potential, there are the expats from Seletar Aerospace park, international schools in the vicinity, and especially expats relocating from the CBD. For vehicle owners, it takes less than 15 minutes to drive to the business hub and vibrant Orchard Road shopping district, via Central Expressway. For More Info or To Learn More. SMS/Whatsapp “ThomsonImpressions” / CALL +65-91259978 or email: alvintaykongwei@gmail.com or simply click the button on the right. near to upcoming Thomson MRT Station. SMS/Whatsapp “ThomsonImpressions” to +65-91259978 or simply click the button on the right. Recreational Parks such as Lower Pierce Reservoir, Bishan – Ang Mo Kio Park and the Singapore Island Country Club is also within close proximity. Wonder who is our developer NANSHAN GROUP ? You will be amazed at the whole spectrum of BUSINESS WORLDWIDE by NANSHAN GROUP! NANSHAN COMPANY was contracted to construct Man-Made Islands (in western coast of Longkou, China); which will cover 35 square km. Once completed, they will become a strategic highlands for science & development; an ecological treasure coordinating land & oceanic resources. North Park Residences has already received a lot of attention in the real estate community because of its huge potential; experts are putting very high expectation on the outcome of North Park residences Singapore and the benefits it will provide to buyers and investors alike. One of the most distinguishing aspects of this development is that it will contain not only residential units, but commercial units as well. Both types of units will be present in large numbers which will create a balanced residential-commercial development. This balance is one of the project’s best qualities, and it gives property investment experts a lot to look forward to. Experts are also aware of the value of this project’s location in the middle of a well-developed area but still connected to the heart of the city with ease. Overall, this is one of the most interesting project in both the Singaporean residential and commercial real estate markets. SMS ‘NorthPark’ & YOUR NAME TO Alvin Tay (+65)91259978 or simply click the button on the right. North Park Residences will provide future homeowners and business managers with prime residential and commercial space in Yishun Central area starting from the year 2018. North Park Residences offers approximately 900 residential units in a variety of sizes with 99 year leasehold contracts located conveniently close to an operational MRT station in district 27. This development has no restrictions on foreign ownership of residential or commercial units, which makes for an excellent opportunity for overseas investors. The project land area of more than 440,000 square feet will have almost 340,000 square feet allocated for commercial space and the rest for the 900 residential units in the project. Commercial spaces will be available in a variety of arrangements and will be suitable for most types of businesses. Commercial plans for this development include a hypermarket and a food court area. The project is managed by Frasers Centerpoint Homes Limited, which is a reputable and successful property developer which has been operating in Singapore for many years. Frasers Centerpoint Homes made sure to include a hypermarket and food court in the project plans to make living in this new project more convenient for residents and attract more buyers. They have also announced that the project will include private resident facilities and a dedicated parking area for the same purpose. Facilities included in the project plans are expected to allow for relaxation of residents as well as recreation, sports and communal times complemented by the built in commercial developments within the project. Released projects plans indicate the presence of several swimming pools catering to sports activities or relaxation and family bonding. A host of spas and a Jacuzzi are also expected to be present. A multitude of open garden and sports areas will be exclusive to residents of this project, along with family and dining areas. A private clubhouse is also expected to be available to residents. Residents can feel safe with round the clock guard services available on the property. SMS/Whatsapp “NorthPark” / CALL +65-91259978 or email: alvintaykongwei@gmail.com or simply click the button on the right. The selection of the project’s land parcel was directly built on its excellent connectivity to all parts of Singapore through several transportation methods. The land parcel is near Yishun MRT station as well as Tampines Expressway, Central Expressway and Seletar Expressway. Through the MRT or expressways residents and shoppers can easily reach the project no matter how far they are from the location. Residents can use either transportation methods, as well as buses, to reach the central business area of Singapore in under 20 minutes. This gives them quick and convenient access to the main business hub of the city and to the Orchard belt. The surrounding area offers all sorts of amenities to residents of North Park Residences; from shopping malls to schools to medical facilities, numerous options are available within a few minutes of the property. Several prominent shopping and entertainment establishments such as Canberra and Northpoint shopping centers are minutes away from your home, as well as numerous food centers and hypermarkets. This is provided that you do not find your needs in the project’s own shopping center! Excellent schools a stone throw away include Naval Base Secondary School and GEMS Wold Academy, which are only a few of more than 20 educational establishments in the vicinity. Medical facilities nearby include Khoo Teck Puat Hospital as well as many smaller clinics. If you seek nature and the outdoors, the location is an excellent choice! It is close to many recreation spaces and green areas such as the Orchid country club and Lower Seletar Reservoir Park. Sports enthusiasts will be pleased to live close to Yishun Sports Hall and SAFRA Yishun. Khoo Teck Puat hospital is an upcoming medical institution that will also be near the project. SMS/Whatsapp “NorthPark” to +65-91259978 or simply click the button on the right. Frasers Centrepoint Limited (“FCL”) is a full-fledged international real estate company and one of Singapore’s top property companies with total assets of approximately S$21 billion as at 31 December 2014. FCL has four core businesses focused on residential, commercial, hospitality and industrial properties spanning over 35 cities across Asia, Australia, Europe, and the Middle-East. Malaysia Johor; On September 8, 2015, BMW Group Malaysia and Pan Asia Logistics held the ground breaking ceremony for the new BMW Group Parts Distribution Centre Malaysia at the Airport Free Industrial Zone at the Senai International Airport. Pan Asia Logistics will be turning a plot of land of 25 acres in the Free Industrial Zone of the Senai International Airport to a new state of the art logistics warehouse and parts distribution centre for the premium automaker, supporting over 22 countries in the region. BMW Group Parts Distribution Centre Malaysia will be taking over up to 761,000 square feet of logistics warehouse space over 2 phases and is contracted for a period of 10 years with the option to renew for a further 5 years. “We are very pleased to welcome Pan Asia Logistics as the logistics and supply chain solution provider for BMW regional distribution centre in Senai Airport Free industrial Zone. Their presence would further strengthen the business activities in Free Industrial Zone which is currently earmarked for manufacturing and logistics activities. Potentially, the planned activities & investment will also promote air cargo movement from Senai Airport and contribute significantly towards the industrial and economic growth of the Iskandar Malaysia region”. Senai Airport Terminal Services Sdn Bhd is one of MMC Corporation Berhad’s core businesses under its Ports and Logistics pillar. With the industrial and economic growth of the Iskandar region moving in tandem with the property sector, it will then create a long term sustainability for Iskandar Malaysia. Property Development like R&F Princess Cove can then house more people with the job creation resulted from the growth. Phnom Penh: On September 4, 2015, Huttons CPL officially launch at Raffles Hotel Le Royal at 8.00am. Huttons CPL is a Partnership between Huttons Real Estate Group and CPL. CPL has over 17 years of direct experience in the commercial, retail, residential and industrial real estate markets of Phnom Penh, Siem Reap, Sihanoukville and other locations in Cambodia. The experience and expertise they offer along with a vast selection of Land, Housing, Condominiums, Retail and Office Space will help clients with all their real estate needs in Cambodia. 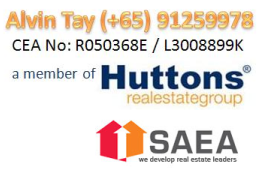 Huttons Real Estate Group is one of the fastest growing real estate companies in Singapore. It was established in 2002 and has grown to over 3500 real estate associates, and it is still advancing in strength. The group comprises Huttons Asia Pte Ltd (HAPL) and Huttons International Pte. Ltd. (HIPL), both incorporated under the Companies Act (Cap. 50) of the Republic of Singapore. Huttons strives to be The Agency of Choice for discerning clients by offering the best service standards, the most optimal response time, and the highest level of professionalism in the real estate industry. Managing Director Lok Ouknha CHENG Kheng of CPL said that this partnership is to allow the joint effort of the two companies to strive to become the agency of your choice in Cambodia. Huttons CEO Mr Goh Kee Nguan added that the partnership offer customers, an easy way of buying and selling of real estate, both inside and outside the country. This is not Huttons International first appearance in Cambodia Phnom Penh. In fact, Huttons International has already step foot into Cambodia Phnom since last year marketing Oxley Holding first development in Cambodia – The Bridge. Following the success of The Bridge, they are currently marketing The Peak @ Cambodia Phnom Penh, which was launch recently in Singapore on 28th August 2015. PropertyFactSheet.Com will take this opportunity to congrats Huttons Real Estate group on their expansion into Cambodia Market. This will surely provide assistance to their client in all the necessary resales, subsales and rentals of their clients’ Cambodia properties. Get a Free Copy of the Beautiful E-Brochure and Floor Plan Now. Simply SMS or Whatsapp “Colony” to +65-91259978 or simply click the button on the right and submit to get an Instant Free copy of the E-Brochure and Floorplan. 9) High Speed Rail TO & FRO from Singapore to Kuala Lumpur only takes about 90 minutes. For More Info or To Learn More. Get a Free Copy of E-Brochure and FloorPlan Now !! Within the vicinity is an easy access to the most favorite stops of the city like the famous Petronas Twin Towers and the Bukit Bintang Shopping Belt where you can find lots of shopping malls such as Starhill Gallery, Pavilion KL, Berjaya Times Square, Fahrenheit 88, and Quill City Mall to name a few. Prominent eateries are also scattered everywhere. There are plenty of options to stop by just to complete the urban kind of lifestyle any future tenants could dream of. Schools and universities are also within close proximity such as Universiti Malaya Kampus Kota, Universiti Kuala Lumpur, Open University Malaysia, Asia School of Business, SJK © Chung Kwok, Convent Bukit Nanas Secondary School, International Modern Arabic School (IMAS) and so much more. Be it a sweet home you dreamt of having or a fascinating commercial space for a well established business you want to venture out, The Colony by Infinitum is just the right answer to your needs. Get a unit near KLCC Now !! Find out more !!! SMS/Whatsapp “Colony” / CALL +65-91259978 or email: alvintaykongwei@gmail.com or simply click the button on the right. Secure developer discounted price now !! Find Out more on Development ! Location is just 5 min walk to Medan Tuanku Monorail Station. It is also close to LRT stations such as Sultan Ismail LRT, Kelana Jaya LRT, Gombak LRT, Masjid Jamek LRT, and Dang Wangi LRT. There won’t be any hassle when it comes to visiting sought after destinations of the city and be connected to the convenience life can offer. SMS ‘Colony & YOUR NAME TO Alvin Tay (+65)91259978 or simply click the button on the right.